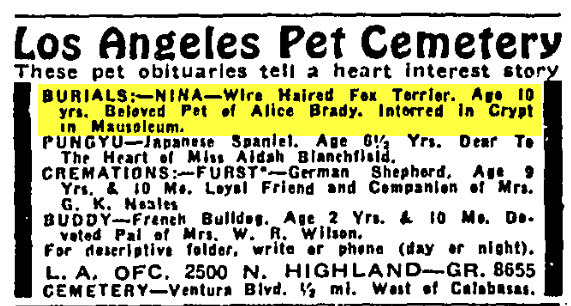 On Thanksgiving Day, 1935, a small group of people gathered on a hill in Calabasas to pay their last respects to actress Alice Brady’s beloved Sammy. Age 16, Sammy had been Brady’s pet wire-terrier, and rather than consign his remains somewhere disrespectful, Brady had him interred in a crypt at the local pet cemetery. The epitaph reads, quite simply, “Sammy—My Boy.” Two years later, her favorite dog Nina passed away and was buried at a cost of $300. The next week, her dachshund died of distemper. 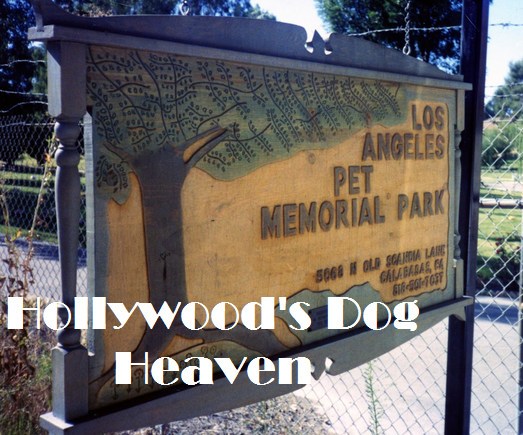 The Los Angeles Pet Memorial Park & Crematory, was founded in 1928 and is located off the Ventura Freeway twenty miles from Hollywood, has a mausoleum (built in 1929), combined with crematory and columbarium, for the interment of a beloved pet. With more than 40,000 pets interred, on the cemetery’s thirty acres, it is one of the largest and oldest of its kind on the West Coast. 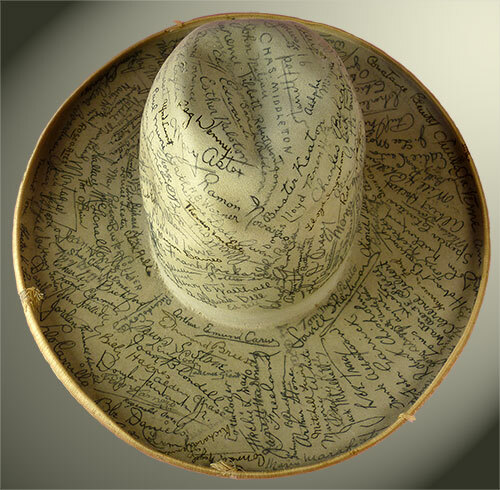 Humphrey Bogart’s cocker spaniel, Lionel Barrymore’s dozen dogs and cats, Tonto’s horses, Good Scout and Smoke, and Hopalong Cassidy’s Topper have been buried here since the 1920s. Because of its proximity to the film capitol, many of the creatures buried on its thirty acres are the pets of famous movie stars. One of them is Mae West’s pet monkey, Boogie who made his screen debut in I’m No Angel and died in late 1933. Boogie was laid out in a fancy lined casket, but no headstone. Around the same time the Countess di Frasso’s fourteen year-old dog died and was buried in a white casket. And there is Jiggs, a nine year-old chimpanzee who died in March 1938 of pneumonia. Jiggs had his own social security number and was a member in good standing with the Screen Actor’s Guild. His funeral at the cemetery was attended by Dorothy Lamour, Bing Crosby and Ray Milland. He last appeared on film in Her Jungle Love (1938) with Lamour. Not far from Kabar is the pet of Valentino’s former wife, Jean Acker, a pet she named Bunky Valentino. The bronze marker reads: “1931—1945, Bunky Valentino, All My Love. Jean Acker Valentino.” In the same area is Puzzums, the Mack Sennett cat. Puzzums freelanced most of the time and in his heyday earned $250 a week. 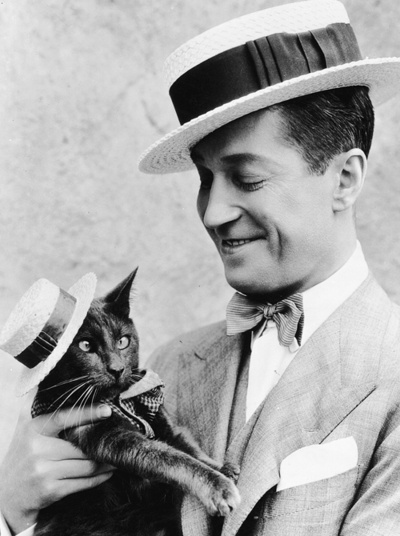 Found abandoned as a kitten, Puzzums appeared with Maurice Chevalier and Jeannette MacDonald. His last film was Handy Andy (1934) with Will Rogers. He died from complications caused by an ulcerated tooth in August 1934 at age eight. 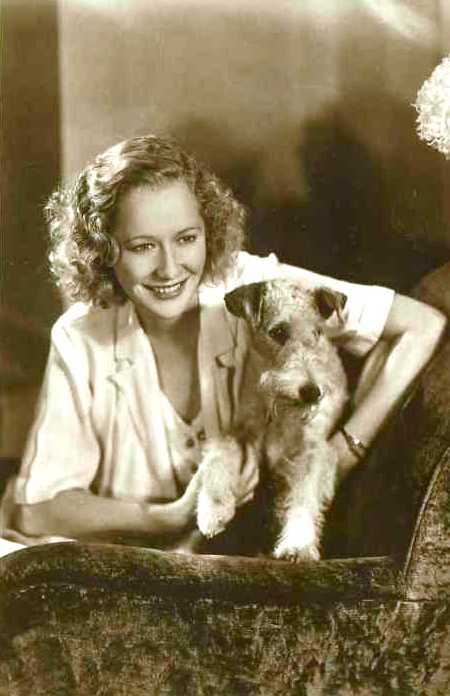 When Miriam Hopkins’s wire-haired fox terrier, Jerry passed away in 1932, she telephoned the cemetery. In a short time a funeral car called for the body and he was placed in a hermetically sealed casket. Jerry was then taken to the cemetery and placed in his designated plot, one that had been reserved for him. 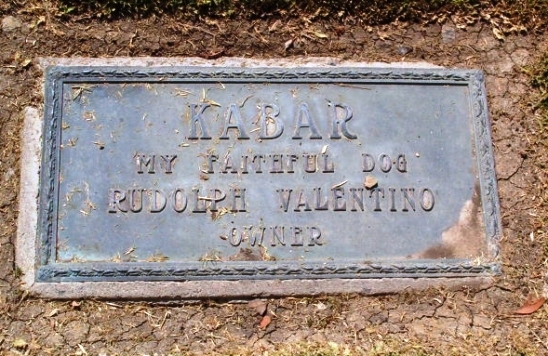 Also among the pets buried there are John Gilbert’s Topsy, Dolores Del Rio’s Da Da, and Oscar Strauss’s Hansi. Marian Marsh’s Pekinese, King, has a tombstone costing $150 and there is also Dumpsie, who acted opposite Eddie Cantor, Lee Tracy, Elissa Landi and other stars and who was slain, it was rumored, by foul means. 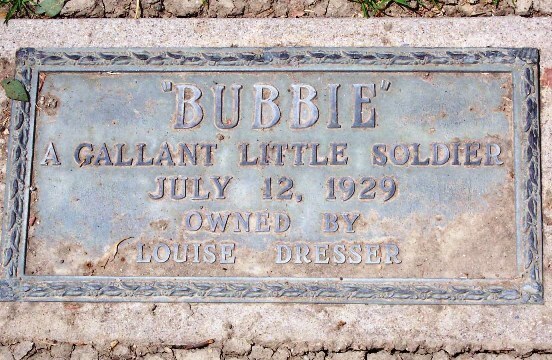 Louise Dresser’s Bubbie is honored with an epitaph: “Bubbie. A Gallant Little Soldier, July 12, 1929.” Not far from Bubbie lie two of Corinne Griffith’s pets, Bozo, a prize St. Bernard, and Black Raider, a once lively terrier. In the mausoleum, in one of the crypts, is Jiggs, the Boston bull terrier of Jimmy Murphy. Across from the crypts, there are niches. 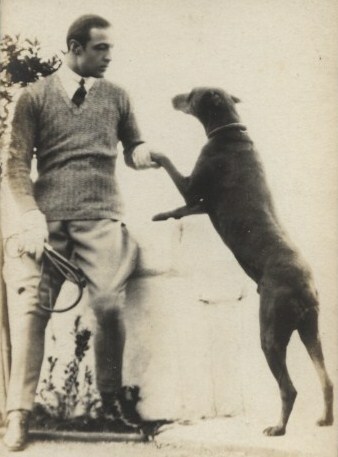 Here you will find Billie Burke’s police dog, Gloria Swanson’s Rusty, a pet of John Barrymore’s and a dog belonging to stage and screen actor, Edmund Breese. King Vidor, who produced The Big Parade, wrote scenes for the film and would map them out to the click-click of a metronome, varying the tempo according to the action. Vidor was methodical. He was under the spell of motion pictures since he was a boy of 12. He believed that there was a chance for a new art through the medium of the camera so he took up directing because he wanted to be engaged in something new. He was a man of vision, not only so far as the possibilities of the screen were concerned, but one who is quick to see beyond that which he is actually engaged upon, whether it was a film or a scene. 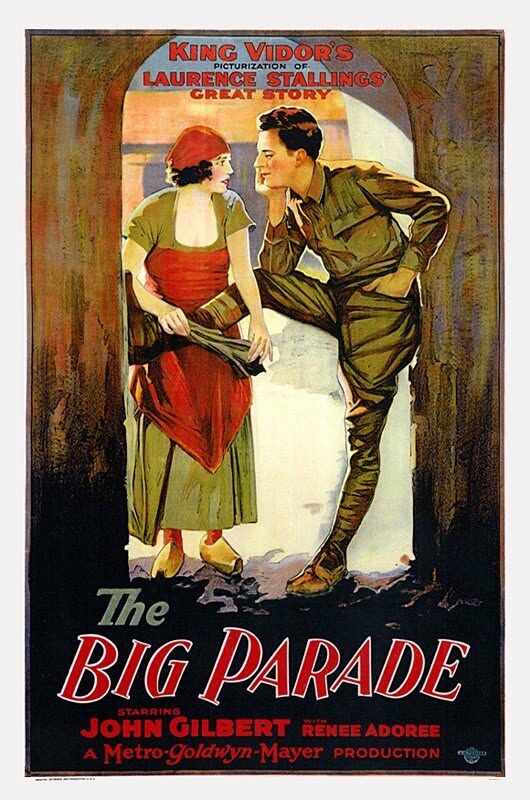 About The Big Parade, he was rather proud that virtually all the scenes of this production, with the exception of a few that were made in Texas, were photographed on a tract of land that was about a block square. What seemed to be miles of woods and vast stretches of shell-shorn ground were filmed in this limited area. “I have just finished La Bohème,” Vidor said with a smile, “the period of which is 1880, and I am next going to make Bardelys the Magnificent, by Raphael Sabatini, which is even an earlier period. I have not much fear of criticism of what is put forth in these productions. But there are 2,000,000 critics of The Big Parade. I did all that was humanly possible to insure accuracy in this picture. United States officers helped me constantly, and I studied miles and miles of Government film, taken by the Signal Corps of the United States army during the fighting. These pictures were made on all sectors of the lines, so it was quite possible for any individual who concentrated his attention on the results as thrown upon a screen being able to leave the projection room after days and days of study with sufficient knowledge of what the fighting front looked like, so as to be able to put it on canvas or on the screen, possibly more accurately than a man who had been on the fighting front. Nevertheless, as I said, to safeguard against errors and to insert special ideas we fortunately had with us United States army officers, but even these men could not know everything that happened at the front, and an interesting point is one on which I lost a wager. I said that I thought that I had seen in the Signal Corps films American troops marching in columns of twos. The officers insisted I was wrong, so I paid my bet. But some time afterward I discovered no less than five reels of Signal Corps film in which our men marched in columns of two. To get my little revenge I made everybody look through these five reels when they were ready for dinner. 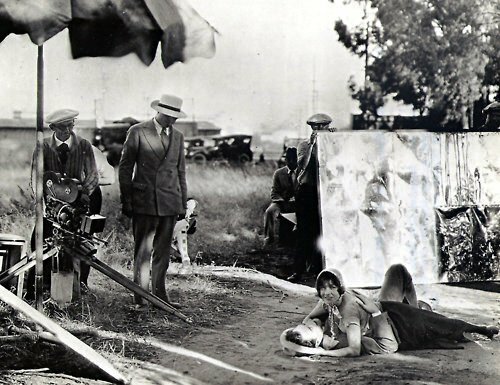 Vidor said that he began the film by taking the scenes of the shell hole, and, to have the principals look as if they were muddy and dirty, there was a special hole half filled with mud in which the actors soaked themselves before they went before the camera. Vidor believed in a human hero, one who ducks when shells are whining by, one whose physiognomy shows the contact with mud and grime. An enlightening feature of The Big Parade concerns the farmhouse. It had to be depicted in the latter scenes torn and rent with shells, great holes in the roof and the walls. It naturally might be supposed that Vidor would have taken the farmhouse set and shot it full of holes, so that the original setting would be realistically damaged. This was too risky, for the all-perceiving eye of the camera is a nuisance at times, and a nice new studio wall might have been seen through one of the shell holes. To obviate such a thing, Vidor employed a special backdrop artist, a man who painted the damaged farmhouse in a day. His work looks far more like a shell-torn farmhouse than if the setting had been ripped with explosives. 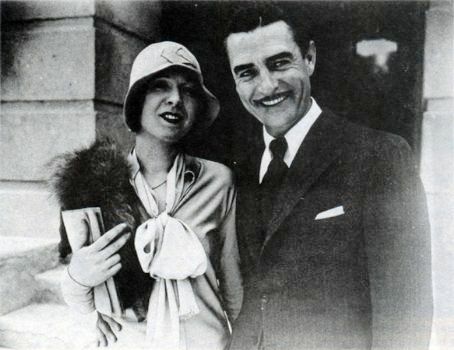 In the scene in which Renée Adorée is searching for John Gilbert, Vidor pointed out that he had three distinct tempos, besides different tempos in parts of the scene. The incident starts off with sad crying, then there is the bugle call, after which everything is hushed. Then comes the 1-2-3-4—1-2-3-4, and gradually the pace quickens. Adorée is made to seem to be running as in a dream through the difference of tempo in the heroine’s pace and that of the soldiers. Hence Vidor believed that the basis of a successful scene is tempo, and that it is the underlying secret of the screen. The streets of Hollywood have teemed with autograph hunters for a century now. Brandishing an autograph book or scrap of paper, these collectors good-naturedly accost stars wherever they find them — on the street, in restaurants, at the supermarket, at gas stations, in elevators, in their cars when stopped at red lights, and even in restrooms. Hollywood today awaited the next flare-up in the John Gilbert-Jim Tully feud. And while Hollywood awaited, details of a fist fight staged by the pair in a Hollywood restaurant several days ago was coming to light, indicated that Tully, redheaded author, had knocked the screen star down and had scored a decision over him in the presence of Gilbert’s wife, Ina Claire. But “ringsiders” and friends recounted the “blow by blow” report of the fight. Tully, they said, was having a midnight lunch at a table with Miss May Cruze, sister of director James Cruze, and Nicholas Kelly. Gilbert, Miss Claire and Sid Grauman entered the cafe. Two years ago, Tully had written “unfriendly” words in a story of Gilbert’s life, appearing in a nationally known magazine, and bad feeling was known to exist between the two. According to witnesses, Gilbert deposited his coat and then saw Tully seated at the table. With a shout, the romantic star, dashed across the room, it was said. Tully arose and struck him in the face, flooring Gilbert. Then friends separated the pair, and Gilbert left in a few minutes, joined by his wife. Gilbert emerged from temporary seclusion at Palm Springs today to tell the world that his head, target of Tully’s punch in a Hollywood cafe last week, may have been bloody, but it’s still unbowed. Tully scoffed at Gilbert’s latest defy. Gilbert declined to predict when his next meeting with Tully would take place. He also denied he was “in training” at the Palm Springs resort, where he is vacationing with his wife, Ina Claire. Ringside reports that Gilbert was the aggressor in the cafe fight were corroborated today by Miss May Cruze, sister of director James Cruze, who was with Tully and Nicholas Kelly when the fight started. Private telephone lines refused to remain private for very long and added to the problems of Hollywood stars who attempted to keep their home life apart from their film careers. At one time, someone, wishing to “have some fun” at the expense of actor Lew Cody, published his private telephone number. The next day the telephone company, unable to handle the calls into the Cody home, rushed an emergency crew to his Beverly Hills house to install a new system. Nils Asther’s private telephone number was given out by the Metro-Goldwyn-Mayer studio to a caller who posed as a friend. Before long Asther was deluged with strangers calling him at all hours of the day and night. He had to change his number. Few screen stars had their telephones listed, but when they did it was a “blind” number that led to secretarial offices, a personal telephone always was listed confidentially or under another name and address that could not be traced. John Gilbert had a regular house telephone, but had a private phone in his study which he answered himself. Greta Garbo’s telephone was listed to her housekeeper, who was given the names of persons she expected to call. Ramon Novarro’s home number was under his family name of Samaniego, and Norma Shearer’s home telephone was listed as an address only. If one happened to get Lon Chaney’s number by mistake and asked whose home it was, one would be told: “This is Oxford so-and-so. Who is this, please?” Beyond that one would gain no inkling of the subscriber’s identity. Bessie Love had two telephones, one for her household needs and a private line for herself. William Haines also had a private line, and Buster Keaton’s house had an elaborate extension system so he could pick up the phone wherever he happened to be. All of the private lines had cutoff keys so that a star, leaving the house or retiring for the night, could disconnect the telephone, a no-answer signal informing friends that they were not available. Despite all the privacy precautions, however, the number leak out to salesmen and canvassers and the average life of a private number in Hollywood was estimate at about four months.